Desktop vs Mobile Processors – What’s the Difference? Like most compute tech, processors come in essentially two classes – mobile and desktop. Mobile processors, whether they be for laptops, smartphones, or IOT devices, are generally designed for efficiency first and performance second. Desktop processors being less limited by thermals and not at all by potential battery life, are by far the performance champs and will on average have more cache, higher stock and Turbo speeds, and higher TDP (Thermal Design Power). So is a mobile i7 not the same as a desktop i7? No, not really. Even though both desktop and mobile processors can share the same i7 (and i5 or i3 for that matter) name, that doesn’t mean they’re equal for the reasons I describe above. For example, a desktop Intel Core i7-6700 runs 4 cores at 3.4/4.0 GHz with 8MB cache for a Passmark score of 9,973. Its mobile counterpart, the Intel Core i7-6700HQ, comes in at 2.6/3.5GHz with 6MB of cache for a Passmark score of 8,001, or almost 20% less. What do those Intel Processor model number suffixes mean? Intel uses a letter at the end of many desktop model numbers as a way of classifying different processor product lines (i.e. i7-6700HQ, i7-6820k, etc). Here’s a quick breakdown of the most common and what each means. U – meaning “ultra-low power,” these processors are typically found in Ultrabooks and similar style laptops where battery life trumps performance. TDP is usually around 15W but speed suffers. HQ – designated for “High performance graphics, quad core,” HQ processors are found in many gaming laptops like our Raptor MX70. TDP is around 45W but performance is much better. HK – meaning “High performance graphics, Unlocked,” these processors are similar to the HQ class but can also be overclocked like many desktop processors. Due to the cooling limitations of mobile platforms, it’s not something we recommend though. K –a desktop processor that’s unlocked and can be overclocked by either the OEM or end user. This post on locked vs unlocked goes into more details. 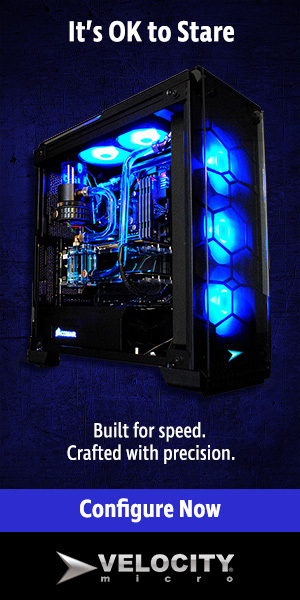 T – Intel describes this product as designed for the “power optimized lifestyle. ‘T’ class processors are similar in terms of specs to the HQ line but are typically found in All-in-One PCs. None – Processors with no alpha suffix are desktop processors with no specific designation. But they’re important too! So does a laptop with a desktop processor mean better performance? In short, yes. Because desktop processors have higher clock speeds and less power restrictions than their mobile brethren, you’ll get much better performance, especially with higher demand applications like photo manipulation, 3D design, and video editing. The downside is that desktop processors do run warmer and because of the higher power draw, are not conducive to long battery life, so it is a bit of a trade off. Make sure you choose appropriately for your specific use-case and applications. So there you have it, the differences between desktop vs mobile processors. What did we miss? Josh has been with Velocity Micro since 2007 in various Marketing, PR, and Sales related roles. As the Director of Sales & Marketing, he is responsible for all Direct and Retail sales as well as Marketing activities. He enjoys Seinfeld reruns, the Atlanta Braves, and Beatles songs written by John, Paul, or George. Sorry, Ringo.